Planning to visit Krakow? 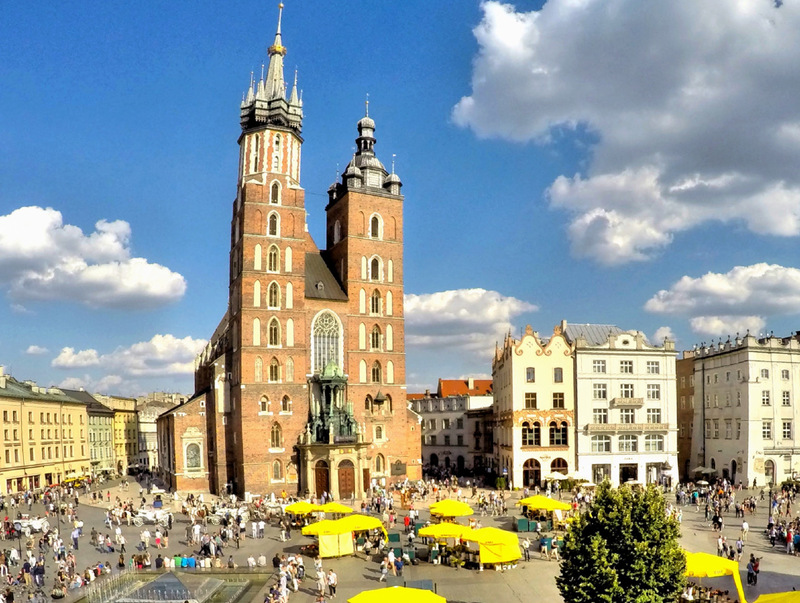 Here’s your local’s guide to Krakow to help you plan your perfect trip to Krakow. 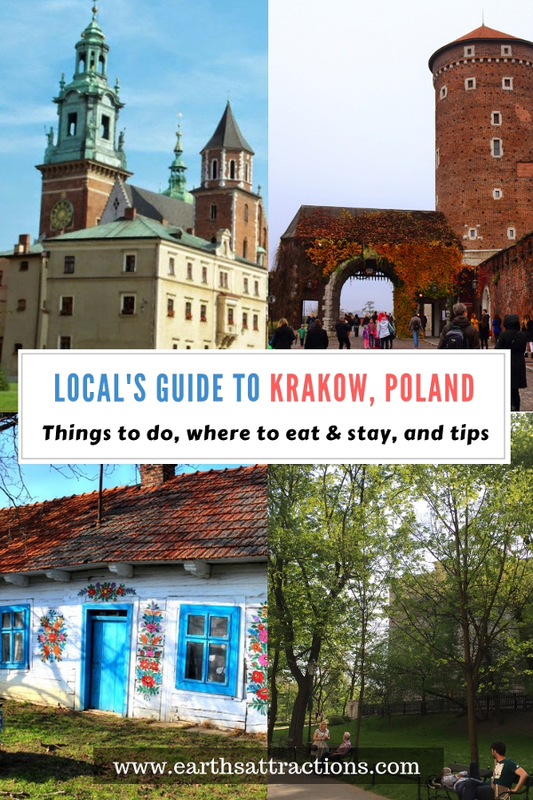 This guide includes the top things to do in Krakow, places to eat in Krakow, where to stay in Krakow, and useful travel tips for visiting Krakow shared by Karolina from The Lazy Travel Blog. This Krakow guide is part of the free travel guides series on this blog and will help you discover what to do in Krakow to make the most of your visit. Part of Kraków’s unique atmosphere and climate come from the fact that it used to be the second capital city of Poland. 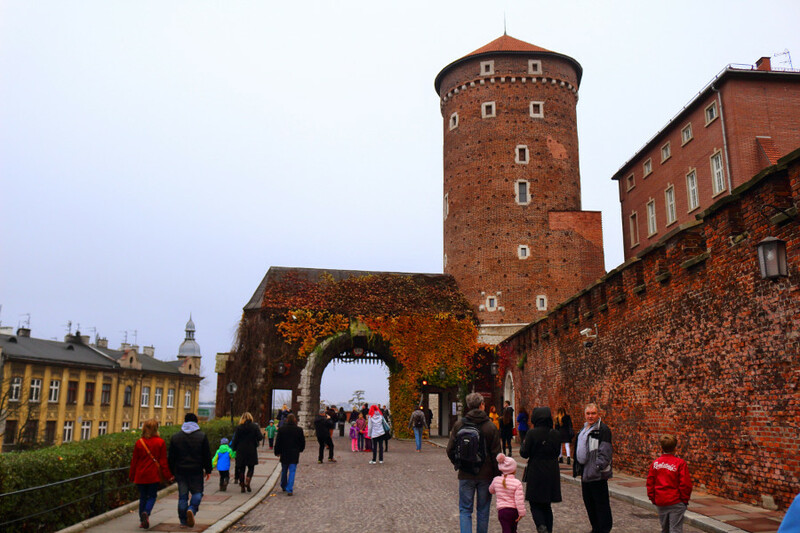 Many kings and their wives have stayed in the Wawel Castle, ruling the country in the difficult medieval times, before Zygmunt III Waza decided to make Warszawa the new capital city. However, Kraków still retains its royal feeling as a second largest town in Poland with its Old Town named an UNESCO World Heritage Site and the Jagiellonian University being constantly in top Polish universities. The city is also a capital of the Lesser Poland Voivodeship. The earliest mention of Kraków comes from the 2nd century. 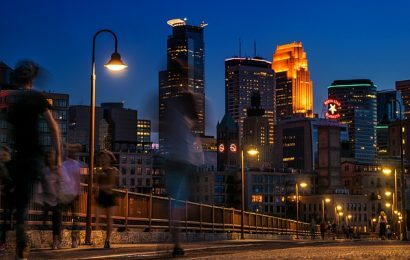 There are still some discussions over how the name of the city came to be. The most common theory associates it with the name of Prince Krakus (Krak is a more common spelling in Polish), who was a legendary ruler of the city. Another theory associates the city’s name with “krakać”, the sound made by the crows. However, regardless of the true origins of its name, Kraków has survived quite a lot of historical changes. It was attacked multiple times, but it was also a center of the fight for the Polish nation. In 1815 the Congress of Vienna named it a Republic to be controlled by three neighbours of Poland, when Poland was going through the sad period of partitions. Later the Free City of Kraków was annexed to the Austrian Galicia, where it was the main centre of the agitation for the Polish independence. During the World War II for 6 years it was the capital of the Nazi Germany’s General Governorate. Nowadays it’s a vibrant capital of partying and cultural events (after all, it’s where the first Polish university ever was founded). In the regards of travelling, it’s also a great base for one-day trips further into Southern Poland, i.e. to Zakopane, Katowice, Warszawa or Rzeszów. Continue to read this local’s guide to Krakow as I’ve also included valuable tips for visiting Krakow at the end. Your trip to Kraków should start with seeing a famous Wawel Dragon. A 12th/13th century legend every Pole knows tells the story of a dragon which has appeared in Kraków during the reign of the King Krakus. The variations of this legend differ depending on who tells you about it, but the general consensus is that the dragon was defeated by a brave person (either the sons of the King or the anonymous shoemaker), who fed him a calf skin, stuffed inside with smoldering sulfur. Other must-see attractions in Krakow include the Wawel Castle, where the kings of Poland have resided through better and worse times and beautiful Old Town with its unique architecture and splendid main square: Krakow Rynek. Drop by the Jagiellonian University and Sukiennice to take a dip in the student life and finish your day with a walk throughout Kazimierz, a Jewish district. If you want more wonderful things to do in Krakow, check out at least one or two of the countless historical churches, as well as one of the famous Kraków Mounds to understand the spirit of the citizens here. For example, the Wanda’s Mound is supposedly a place where the historical Princess Wanda was buried and it’s one of the best Krakow tourist attractions. According to the legend, she was a daughter of the King Krakus, who did not agree to get married with a German prince, resulting in the said monarch invading the Polish lands. The army, led by Wanda, defeated the assaulters, but the princess decided to kill herself by drowning in the Vistula river – either in order to avoid the future assaults or to pay a tribute for the victory, depending on who tells you that story. If you are interested in the history and by any chance happen to like the LEGO® blocks, you might want to check out the HistoryLand Kraków museum, where the entire history of the country is presented in a unique and interesting way. As you can see, there are many interesting Krakow attractions to discover! Apart from that, the Kraków is filled with different sorts of museums, including those focused on Nowa Huta, Insurance, Old Torture Devices, Japanese Art and Technology, Old Theater or Tadeusz Kościuszko. All of these are great places to visit in Krakow and will help you learn more about the city, history, arts, and more. Another one of Krakow’s attractions is Planty Park, one of the largest and more beautiful parks in Krakow. Be sure to check it out and go for a long walk, enjoying some outdoor time. At the end of the day it’s always a great idea to take a stroll on the banks of the Vistula river, which flows through the Kraków. This is definitely one of the top things to do in Krakow, Poland. The most important Polish river, which is even mentioned in the national anthem, will always grace you with great views. If you’re looking for a way to spend the romantic evening in Krakow, or just to meet with friends, that’s the place to go to have a great time. Still wondering what to do in Krakow? How about some off the beaten path attractions in Krakow? The second capital city of Poland is so filled with the tourists that some might not believe it’s possible to find a spot without them. You know the classical rule for that – the further from the city center, the better – that also applies in this case. But if you want a more specific and proven recommendation, start with checking out the Rakowicki Cemetery and The Ghetto Heroes Square. In this Krakow city guide, I also have someting for the art lovers. Check out the Museum of Contemporary Art which does not seem to be so much filled with tourists. I hear many people asking “where to go in Krakow?” and, apart from all the recommendations included so far, I have a few more to add. You might also want to pop in the Jagiellonian Library or the one on Rajska Street. Kraków has quite a variety of them and they all are great places to read a bit or get your work done in an environment calmer than typical Starbucks or other coffee shop. If you want to meet a darker side of Kraków, check out Nowa Huta – a neighbourhood which will give you the vibes of the People’s Republic of Poland. Be careful though in your adventures off the beaten path on the outskirts of Krakow – sometimes it’s better to walk in a group rather than alone. You are totally safe in the city center but it may get dangerous in Nowa Huta at night. If you are asking yourself what to see near Krakow, I have to tell you that there are countless smaller villages around Kraków that hide an attraction or two. Wieliczka is famous for its mines. 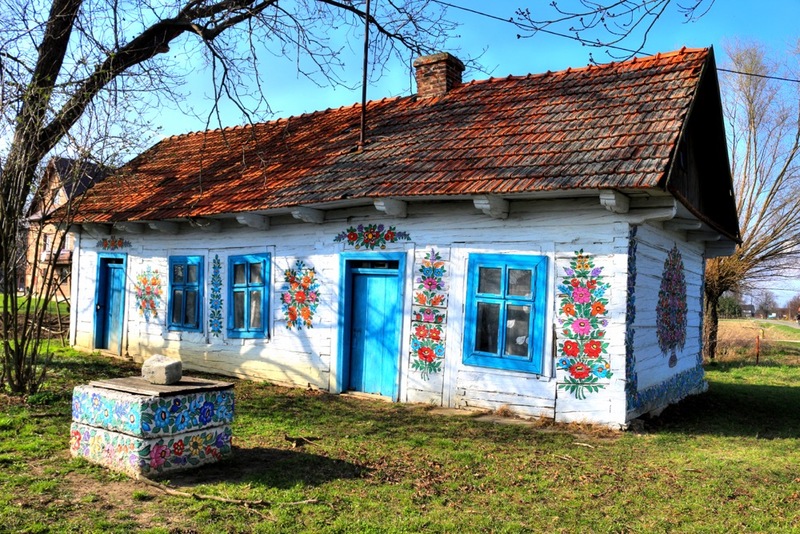 Another one of the best off the beaten path things to see near Krakow is the painted village of Zalipie. The Kraków’s Old Town offers a wide variety of the restaurants in Krakow with multiple cuisines and their variations: Gruba Buła, Zielona Kuchnia or Ristorante Sant’Antioco, but if you want to stray from the typical touristic places, check out a bar mleczny (literally: a milk bar) like “U Stasi”. 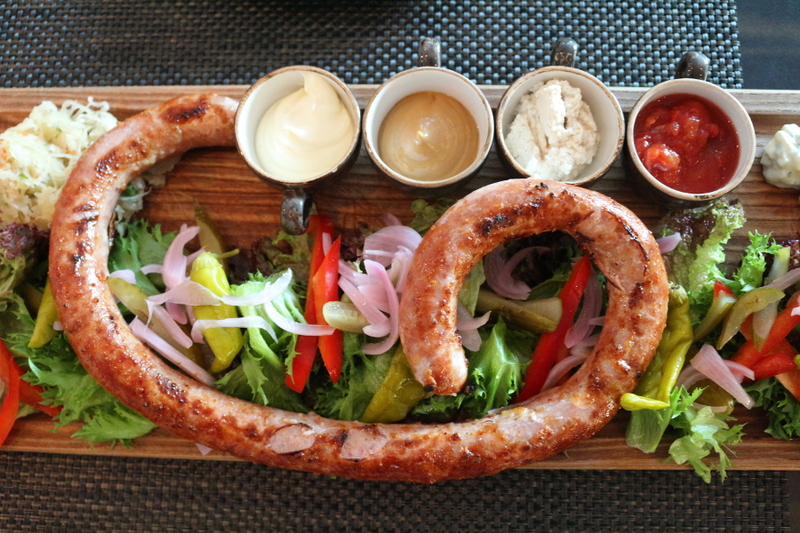 You will find Polish food there, as well as unique vibes of ex-Eastern Bloc country, not to mention that if you are running low on money, it’s your best bet for getting a cheap and stomach-filling food. There is also a wide variety of good pubs in Krakow where you can get something to eat and to drink: Dobry Kumpel, Omerta, Multi Qlti or Polski Pub. As this city is a popular touristic spot, there are many hostels in Krakow which will offer you cheap accommodation in Krakow. 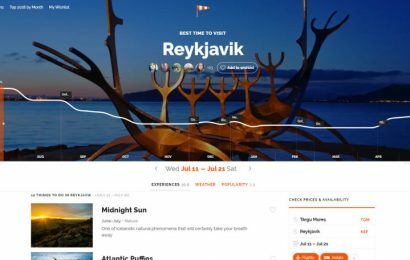 If you are travelling solo, depending on your preferences, you might book one bed in a room with other people, which will be definitely the cheapest solution, or you might try to get a room just for yourself, but in this case, that will mean a significantly bigger expense. One of the coolest Kraków hostels include Moon Hostel, Bubble Hostel or Shishkin Art Hostel. There are also great hotels in Krakow. 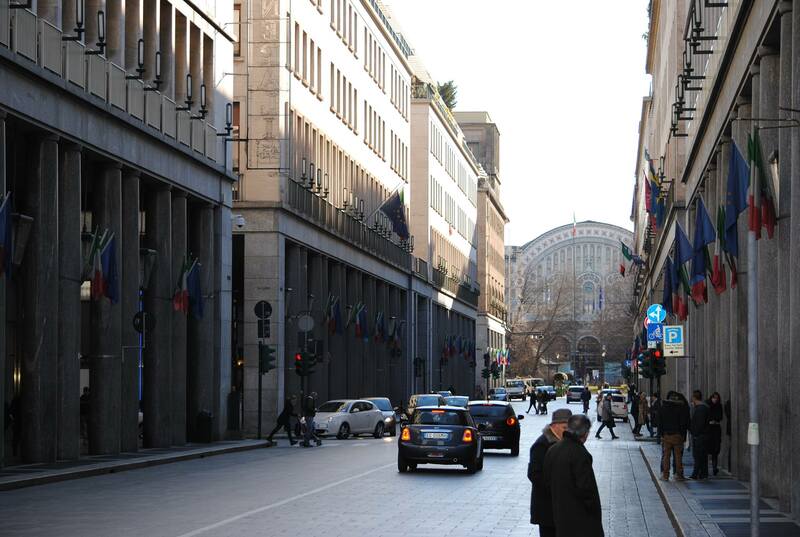 If you are looking at better staying conditions, check out Aparthotel, Hotel Europejski or Radisson Blu. You even have a Hampton by Hilton here to accommodate your needs.As you can see, there are many places to stay in Krakow, something for each budget and preference. Before you choose a place to stay in Krakow, it’s good to have at least a little plan regarding your visit in Kraków – if you will have an idea of where you want to go in Krakow, it will be easier to choose the hostel/hotel in the neighbourhood, therefore saving you time and money spent for the city public transport. Kraków is a great city with a lot of places to see, but at the same time the bad urban planning and the low quality of things that people put in their fireplaces lead to the fact that it’s one of the most polluted cities in Poland. 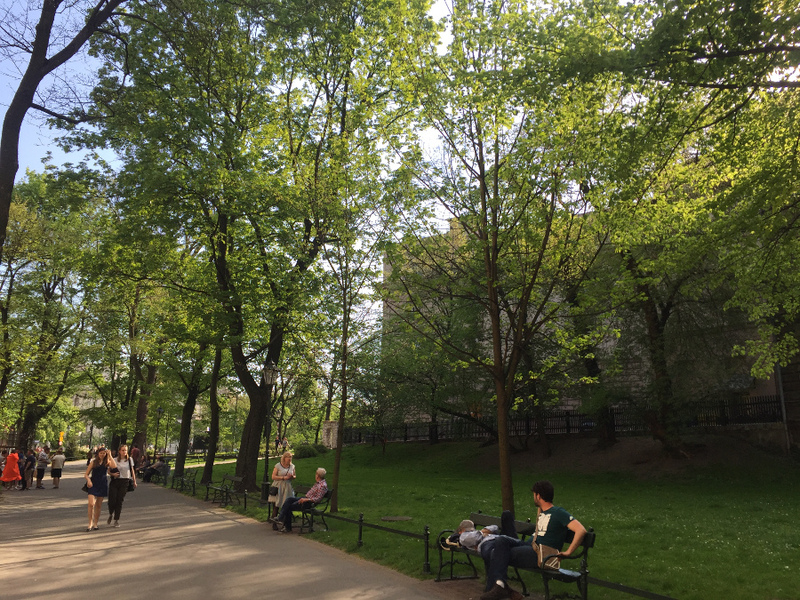 If you are visiting Krakow in the spring and summer, you might not experience the discomfort related to that, but if you are planning to spend the fall or winter weekend in Kraków, taking a breathing mask with yourself would be a good idea. Moreover, if you are travelling solo, avoid less safer places and districts like Nowa Huta after the dark, and always keep a pepper spray in your bag, just in case. If you, by any chance, will happen to walk through the town and meet the ladies inviting you to the pub, be very careful. Kraków is visited by many great people who might want to connect with you, but that’s a very commoncountry scam – the ladies will invite you inside and ask you to buy them a drink. The menu will not have any prices on it and you will suddenly pass out, and wake up next day, not knowing how you spend that several thousand dollars in one pub. No need to panic though – just use your common sense and enjoy your visit to the magical place that is Kraków. Breathe in the atmosphere, respect the locals and know your limits – and nothing bad should happen to you. 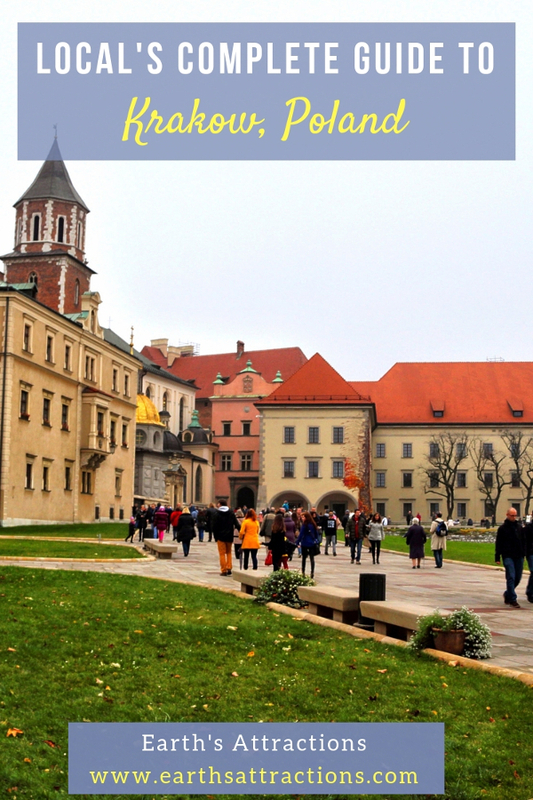 I hope you’ll use this local’s guide to Krakow when plannning your visit to the city and creating your Krakow itinerary. 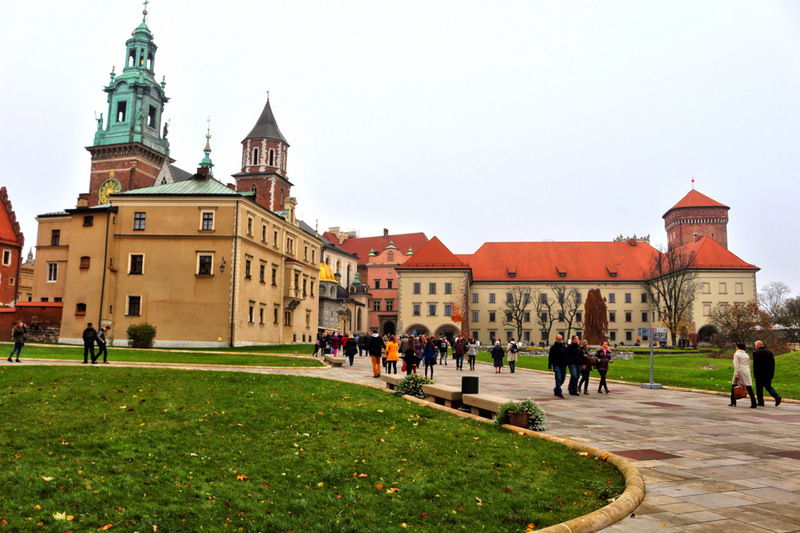 I’ve included the best things to do in Krakow in this article, suitable for all preferences. These are the best Krakow places to visit and you can use the list above and create an itinerary that will allow you to discover the best Krakow activities if you have 2 days in Krakow or plan a weekend trip to Krakow – or if you plan to come here for a longer visit. Karolina Klesta is an avid traveler that is exploring the world with her baby girl Mia and husband Patryk. She is the founder of Lazy Travel Blog where she is inspiring people from all around the Globe to follow their hearts and travel the world. Her recent project is Relations Hacker platform, created to help couples remain happy in a relationship. Follow her on Facebook, Instagram, and Pinterest.